Wowzer! Absolutely could not stop putting these away this past weekend. Great coconut taste and just the right amount of chewy texture. Mmmm. Surprisingly, “not-too-sweet” at all! You’re going to love these. The recipe calls for 2 ½ cups of flour but I’d back that off to just 2 cups and see what happens. We prepared these with chopped almonds which turned out just great. But really, there is no substitute for the unique flavor taste of macadamia nuts. Go a little nuts and splurge. It will be worth it. In a mixing bowl beat the butter or margarine with an electric mixer on medium to high speed for 30 seconds. Add the sugar and baking soda; beat until the mixture is combined. Beat in the eggs, sour cream, and vanilla. Beat in as much of the flour as you can with the mixer. Stir in any remaining flour with a wooden spoon. Stir in the coconut and nuts. Drop dough by rounded teaspoons 2 inches apart onto ungreased cookie sheets. 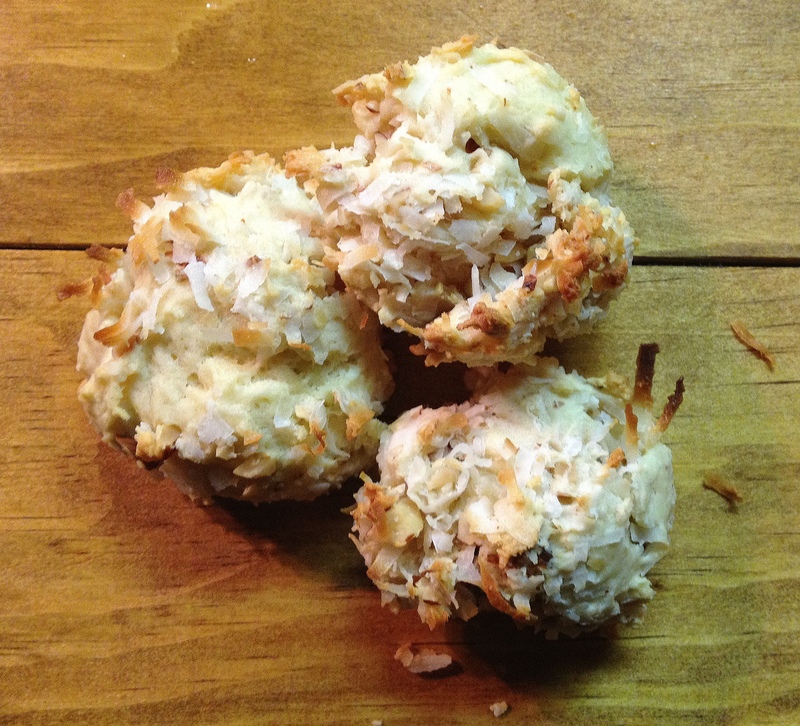 Bake in a preheated 350 degree oven for 10 to 12 minutes, or until the coconut is golden brown. Remove cookies and cool on wire racks.